Lawyer, First Lady, women's rights advocate, and more: Michelle Obama is an inspiration to millions of girls and women! 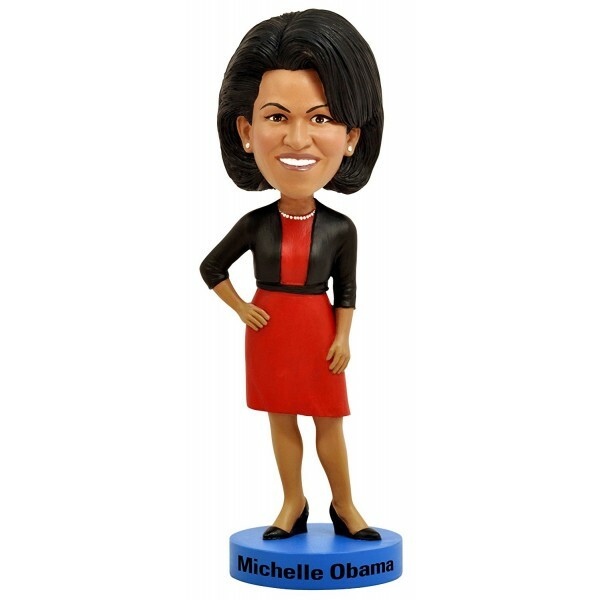 Now, she can encourage you from your desk or shelf with this bobblehead from Royal Bobbles. This hand-painted 8" bobblehead comes in a collector's box and is the perfect reminder to keep moving, keep trying, and keep reaching for your dreams. 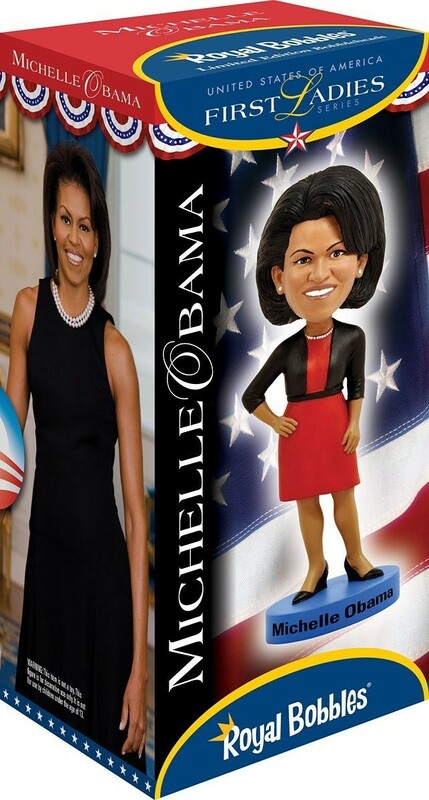 For more fun and empowering dolls, action figures, and figurines, visit our Dolls / Action Figures Collection.